Drake was an ace Southern California driver of the 1950s and early 1960s. He drove Aston Martins and Coopers, then a Birdcage Maserati, for Joe Lubin. He was best known for his fine driving in Max Balchowsky's Ol' Yaller cars. 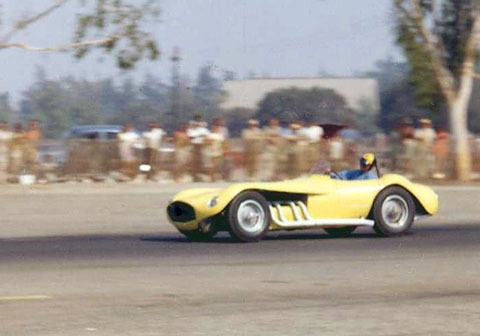 He finished 2nd in the 1960 Riverside Grand Prix driving Ol' Yaller Mk.II. 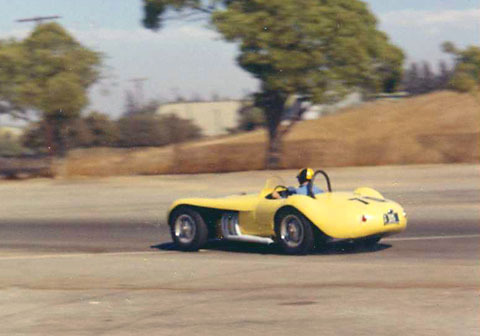 At Pomona on July 8-9 1961, he drove Balchowsky's Ol' Yaller Mk.IV. While running second to Don Hulette, he crashed because of steering failure. New! Joe Scalzo's article describes this tragic race. Drake, moments before the crash. New! More on Bob Drake!